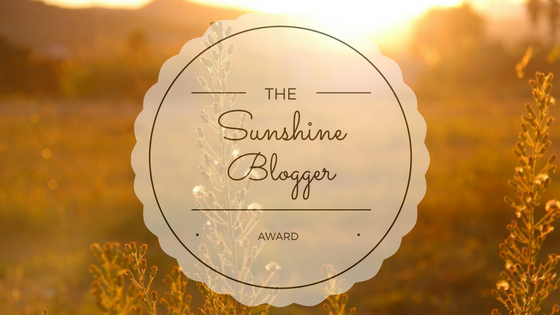 Dear truthiskef(click here to visit her blog) thank you so much for being nominated for the “Sunshine Blogger Award”. I would like to recommend my readers to check out her blog. She is an intresting person and straight forward in her inviting writings and sayings. So have my thanks and good wishes to you, dear friend. 1.) The biggest lie you ever told someone. 2.) The best city in the world acc. to you. Kirpal Sagar, as it is unique place in the world belonging to the whole mankind. 3.) New York or Dubai? I do not know as I have never been in New York nor in Dubai. 4.) What do you think is the best compliment you ever received. Actually I do not care about compliments (praise) or rebukes (criticsm) since they both come from the same coin. I try to keep both side neutral. I follow the path of spirituality, means: “Man know thyself” – Gandhi said: “Be the change if you wish to see a change in the world”. So it is better to clear oneself instead telling other peope what to do – it requires responsibilty and to understand that we all are one. So first I try to clean my own house and extinguish the fire (mind) therein. Only then it is possible to help others, but each of us has to make an own step forward and not have a wait- and see attitude (others are doing the job), as each of us is responsible for him- or herself. I travel every year to India (Kirpal Sagar)and help there as a voluntary helper to fight poverty. I like languages very much as you get to know a deeper glimpse into their cultures accordingly. So I am able to speak 5 languages, mainly Scandinavian languages. I am also a computer specialist and programmer which allows me to handle all stuff concerning a pc, also graphic designs, web-designs and internet specialist. My hobbies: Creating pics in a special way, writing poems (since 40 years about) and create videos as well. Reading spirtual books, gardening, cooking, travelling, trekking-tours in the nature, graphology, sports (fitness centre), playing chess, helping people. 6.) If I ask you to leave WordPress right away, what would you do? 7.) If someone hacks your phones then, what would you do? Please don’t say you’ll inform police.I want something smart! ?? I would trace him or her back and find out from where the attack was launched. With the help of an anti-virus app you can trace back to catch the IP from the attacker. For security I would delete everything and would start from scratch or use my back-up from the pc (best option) so that all apps I use are present again in my smart-phone. Then I would reinforce my security system, using even a firewall and anti-virus apps and updating all security apps. 8.) Suppose you won $15 million in a lottery, how would you spend it. Don’t say you will give it all in charity???? In fact I would not keep much for myself, a bit I would keep to make a journey around the world. The rest I would give for charity. 9:) What would you prefer sir/ma’am- Presidential post or a billionare?? 10.) How do you celebrate your birthday? Usually I do not celebrate my birthday. 11.) The person whom you hate most.?? We should have respect and compassion to everyone as we are all sitting in the same boat. 1:) Do we have the right to judge over people? 2:) What was your best experience in your life? 3:) Your best book you have read? 4:) If you are a witness of an awful car accident – what would you do? 5:) What could we do to fight poverty? 6:) You have a bottle of water. Is it half empty or half full? 7:) What is an alternative to our money-system? 8:) How can peace be reached in this world? 9:) What are your hobbies? 10:)Life is our teacher – what has life taught you? 11:)What means marriage to you? Dear nominee, feel free to participate, it is a voluntary matter.